Plodding account of a young girl’s coming of age during the 1918 flu epidemic, in a third US appearance by New Zealander Johnson (Belief, 2002, etc.). As the carnage of WWI was winding down, one of history’s great pandemics took more lives in a few months than the Allied and German armies had claimed over the previous four years. The Spanish Influenza spread to just about every corner of the globe—even the Fiji Islands, where 12-year-old Olive McNab lives with her large family. 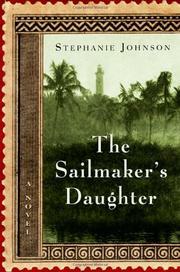 When Olive’s mother Adela, a once-famous actress, falls ill, Olive and her brothers leave their parents behind in Suva (the capital city) and travel with their grandmother to the remote island of Taveuni to stay at Uncle Bernard Gow’s sugar plantation. There, they pass their days in mild unease, waiting for word on the last days of the war, the epidemic, and their mother’s worsening condition. For a time, they enjoy the diversion of two eccentric (by their standards) houseguests: the free-spirited artist Agnes Perkins-Green and her lover, the famous naturalist and explorer Constance Prime-Belcher. Although Uncle Bernard’s sister Elvira was a devotee (and possibly lover) of the English poet Rupert Brooke, the Gow household is for the most part a dull and provincial place, where life revolves around meals and sports and the atmosphere is suffused with a sense of colonial superiority to the small army of native servants and laborers who stand on every side. The stagnant peace of this world is suddenly shattered when Olive’s Aunt Maud nearly foments an uprising among the natives by slashing the face of a serving-boy with a piece of broken glass. Her ensuing trial, Adela’s inevitable death, and the signing of the Armistice combine to impress upon the young Olive the fact that she has entered a new world, at once frightening and hopeful. Skilled and graceful from page to page, but the story, even so, dawdles badly and seems dragged out and terribly verbose by the end.